ModBargains and VMR have been working together for over a decade. We were one of the first distributors for their wheels because we beleived in the quality and value of their wheels. We have continued that relationship and have seen countless customers incredibly happy with their VMR Wheels. VMR Wheels are engineered to exceed strength requirements set forth by JWL/VIA/TUV, & are produced at ISO-9001:2000 certified facilities. They are widely recognized by leading enthusiast communities and exported worldwide. Flow Formed (flow forming) is a production procedure that turns the wheel (or rim section) over a special mandrel and three hydraulic rollers using tremendous pressure. The pressure and turning then force the rim area to form against the mandrel, creating the shape and width of the rim. 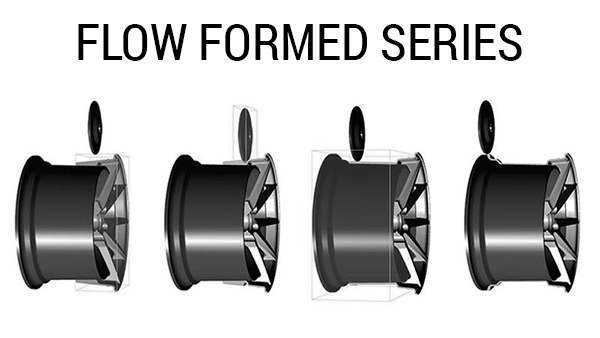 During Flow Forming, the rim actually â€œflowsâ€ down to create the full rim width. The pressure applied to the cast rim actually changes its mechanical properties, so its strength and impact values become similar to those of a forged rim. That translates to up to 15% less weight when compared to a standard cast wheel. 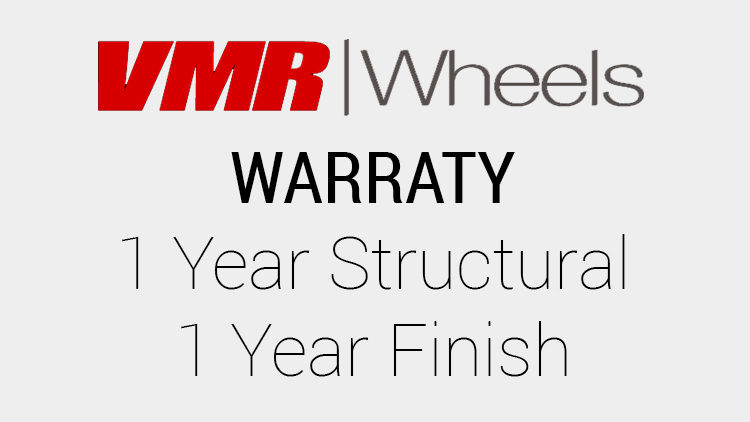 VMR Wheels are backed by a 1 year structural warranty to the original retail purchaser that guarantees wheels will be free from defects in materials and workmanship under normal and reasonable use. They also offer a 1 year finish warrant covering any defencts or issues with the paint or powdercoat under normal and reasonable use. Buy with confidence knowing that VMR Wheels and ModBargains stand behind their products.